Spike Energy Drink was once known as Spike Shooter and is made by Biotest. 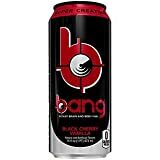 This energy drink is one of the highest caffeinated energy drinks on the market and is primarily marketed to bodybuilders. According to WebMD N-Acetyl-L-Tyrosine is an amino acid given to those with energy disorders such as chronic fatigue and narcolepsy. Biotest recommends that first time users of Spike Energy Drink consume just 1/2 a can in order to see how their bodies will react. 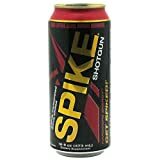 Spike Energy Drink is highly caffeinated and should be kept out of the reach of children. 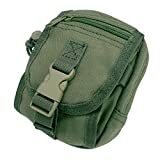 The other Biotest drink, Spike Shooter has 300mg in an 8.4 ounce can, which more concentrated. Other Ingredients: Carbonated water, citric acid, sodium citrate, natural and artificial flavors, sucralose, sodium benzoate, FD&C red #40, caramel color, FD&C blue #1. Spike Energy Drink contains 21.88 mgs of caffeine per fluid ounce (73.97mg/100 ml).